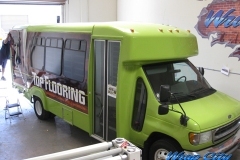 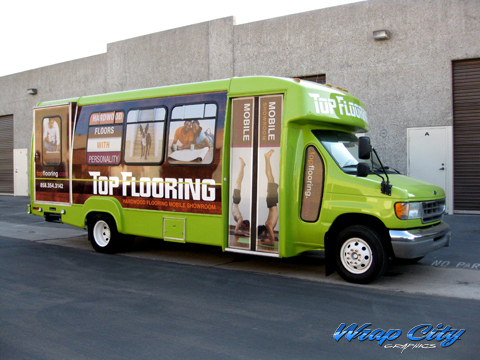 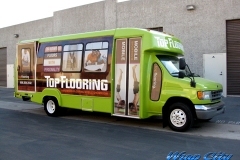 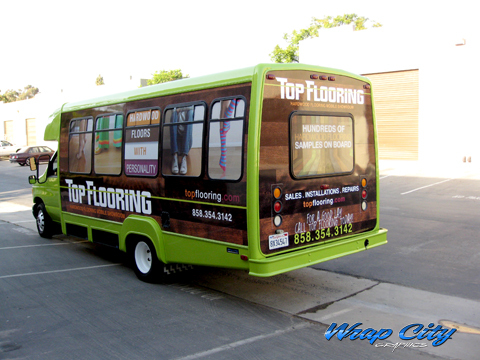 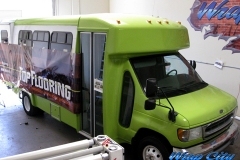 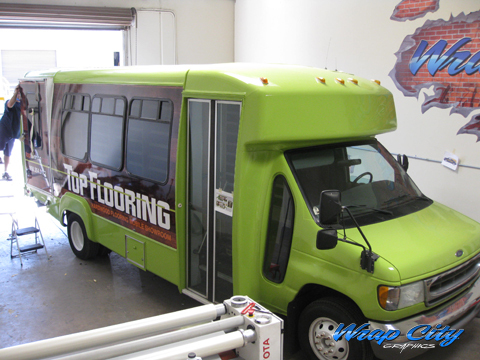 This shuttle bus wrap is for a hard wood flooring mobile show room, now also a mobile billboard.The bus windows are wrapped with perforated window graphics. 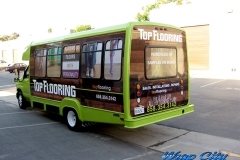 These allow you to see out of the windows while displaying an image on the outside. 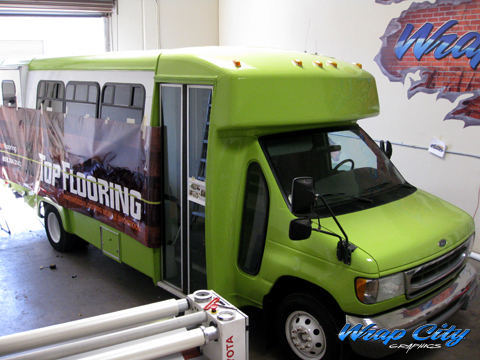 The rest of the bus was wrapped with solid 3M vehicle wrap material with 3M gloss laminate for a paint like look. 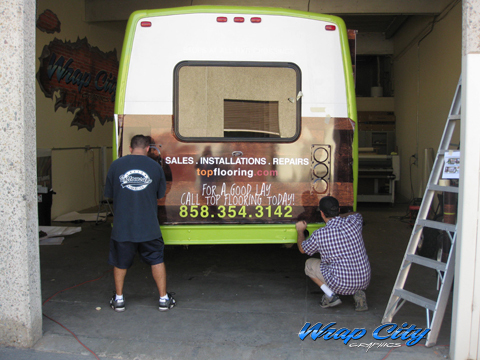 Posted in Bus Wraps, Latest Projects, Uncategorized.